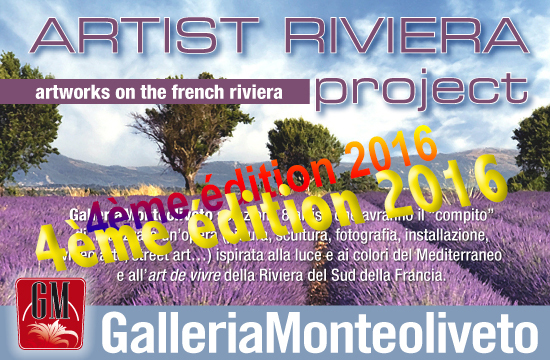 The Project: GalleriaMonteoliveto will select 8 artists who will have the "task" to create a work (painting, sculpture, photography, installation, video art, street art ...).. inspired by the light and colours of the Mediterranean and by the 'art de vivre’ of the French Riviera, a land of inspiration of great artists from all over the world, Renoir, Bonnard, Matisse, Picasso, Chagall and their successors of the famous Ecole de Nice, César, Klein, Arman, Niki de St. Phalle, Ben, ... The selected artists during their stay will have to "soak up" the light and atmosphere of the area, visit the places of art, and create an original work having a footprint in new trends in contemporary art. 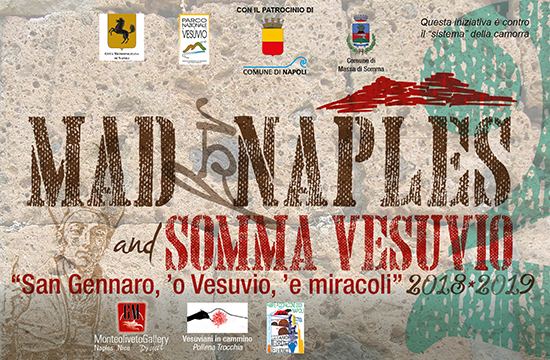 The 8 works will be delivered in three months following the end of the project and made available for 12 months to gallery monteoliveto which will make them the subject of an exhibition in 2014 in the place and date the gallery will decide after viewing the works in order to propose the most appropriate setting consistent with the objectives of the project. The artists are also required to prepare a report accompanying the work of two pages expressing the feelings received from the cultured atmosphere during their stay in the region and visited places of art and the reasons for the choice of their realization. The work SHOULD NOT BE a "tribute to" but will have to express these feelings with originality. The Site: Nice, Vence and Saint Paul de Vence, magical "triangle d'or" and the surrounding region, Provence-Côte d'Azur, Antibes, Cannes, Vallauris, Mougins, where the major artists of the twentieth century have taken their site, for its particular light, with a high concentration of prestigious foundations, great art galleries, museums, exhibition spaces and important art venues. The Residence:A studio of 25 sqm located on the Promenade des Anglais, which will be made available to the artist for two weeks, located on the 6th floor of a modern building very near to the sea. The studio is for 2 persons and is equipped with all comforts, kitchenette, bathroom with toilet and shower and a balcony. send a c.v. updated with the subjects and working methods of the artist, 3 recent works and an indication of the date of their choice. Applications will be reviewed in order of arrival and once selected the 8 artists, selections will be closed. If interested contact us and we will inform you on how to adhere andfee to participate.